(Another AV8RSTUFF reproduction) Marine Attack Squadron 133 (VMA-133) was a reserve A-4 Skyhawk fighter squadron in the United States Marine Corps. Originally known as VMTB-133, the squadron saw combat during the World War II campaigns on Bougainville and Philippines. Following the war they became part of the Marine Forces Reserve. The squadron, also known as the ÒDragonsÓ, was part of Marine Aircraft Group 42 of the 4th Marine Aircraft Wing and was based out of Naval Air Station Alameda, California. They were deactivated in 1992 as part of the post Cold War drawdown of the U.S. Military. This is an exact reproduction of their historical squadron patch and does not come with velcro attached. 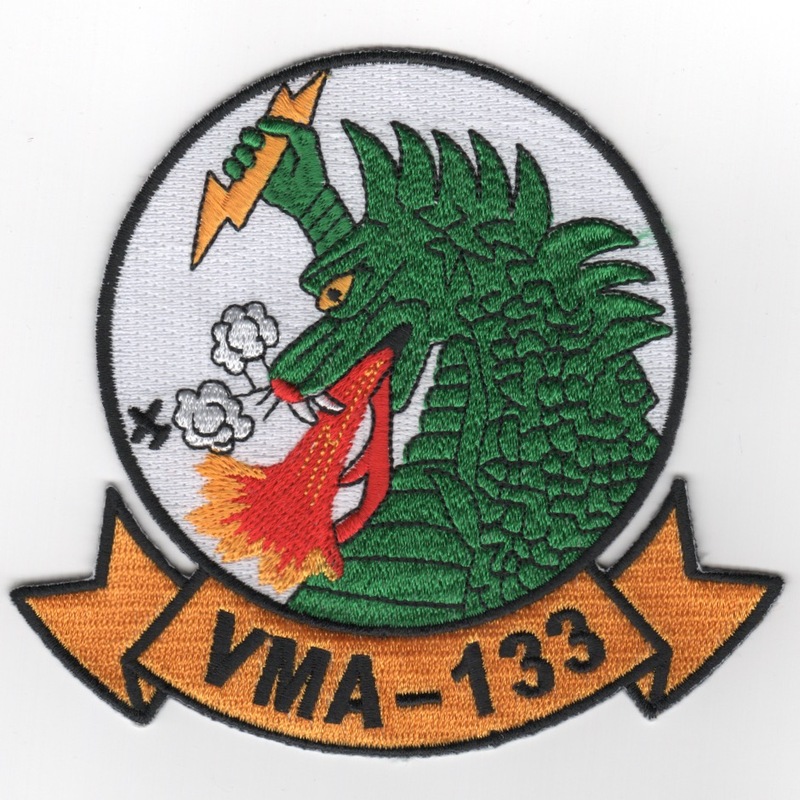 Homepage | Order VMA-133 Patches!